Students will take home reading books and sight words each week. The older students have Individual Learning Plans in Mathematics each term and they are expected to complete a minimum of 15 minutes each night to practice skills. Every Monday, students will receive a list of spelling words they are asked to practice for a spelling test on Tuesday and Friday. 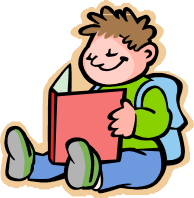 Foundation students will not have written homework – BUT – we do encourage you to read to your children every night.